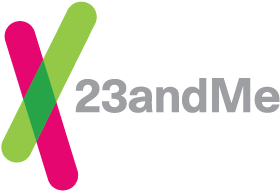 23andMe® brings the world of genetics to you. 23andMe analyzes variations at specific positions in your genome. These variations, called SNPs (Single Nucleotide Polymorphisms), have the potential to tell you about your ancestry, your traits—such as eye or hair color—and certain health conditions. The 23andMe Health Predisposition* reports are included in the Health + Ancestry Service. Our Health Predisposition reports help you learn how your genetics can influence your chances of developing certain health conditions. This category includes Genetic Health Risk* reports and reports that are powered by 23andMe research. Reports and features powered by 23andMe research are developed by 23andMe scientists using data and insights gathered from thousands of customers who have consented to participate in our research. ***This data has undergone a general quality review however only a subset of markers have been individually validated for accuracy. The data from 23andMe’s Browse Raw Data feature is suitable only for informational use and not for medical, diagnostic or other use. Consult with a healthcare professional before making any major lifestyle changes.